I was really excited to find out that I was getting a copy of this book to read and provide a review for. Although this book is intended for young adults and I am older than twenty-two, I thought this story would be a wonderful change from most books I have read lately. From this first page I was instantly hooked on this novel and the two main characters of the book (“Eleanor” and “Park”.) As I was reading the story I was instantly taken back to when I was in high school and how it felt to be at that age and go through everything a teen goes through. This book reminded me of Romeo & Juliet but set in modern day and much more interesting for today’s teens. I was able to read this book within two days; the chapters were short and the way Ms. Rowell wrote the story was wonderful and easy to read. This is the second the book I have read of Ms. Rowell’s and this book is by far better than the first one. 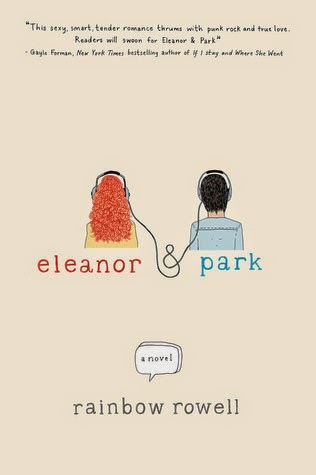 I give Eleanor & Park an “A+” and Rainbow Rowell an “A+” as well.